View from southern neighboring building. 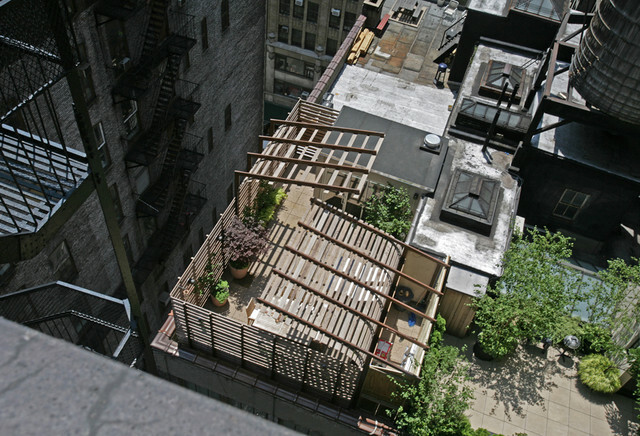 Wood boards of trellises are spaced differently depending on exposure to sun, wind and industrial noises as well as privacy concerns. Early planting as well as the storage/potting "shed" (at lower left) are shown here too. Perspective from above to think about.